Put your best foot forward with this season's most stylish shoes. 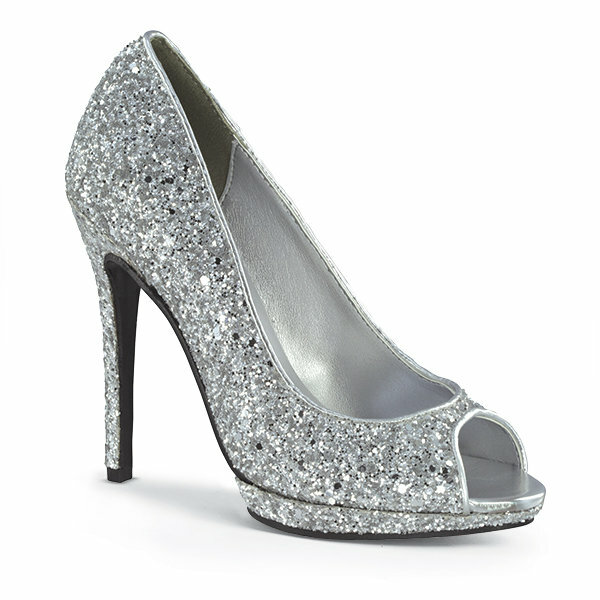 Silver glitter peep-toe platform heel by Touch Ups. Satin peep-toe ankle-strap heel with bow detail by Nina. French lace and leather lace-up heel by Freya Rose. Floral embossed leather strappy sandal by Dune London. Crystal-accented heel with an ostrich feather tassel by Jimmy Choo. Ivory silk and white lace peep-toe pump by Shoes Of Prey. Blush suede and gold leather beaded wedge by Emmy London. Silk heel with crystal accent by Benjamin Adams London. Ivory satin pump with ankle strap by Giuseppe Zanotti Design. Italian silk satin T-strap heel with crystal accent by Liz René Collection. Ivory satin and silver glitter pointy-toed slingback by Kate Spade. White leather laser-cut heel with silk ribbon tie by Marchesa.